Wither Bones Drop from Wither Skeletons! Are Orange and Yellow hearts the same thing? 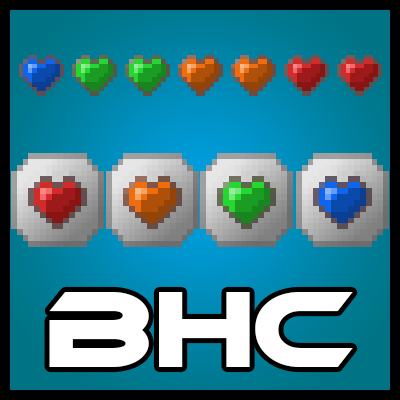 Alright Everyone I did it you can now set the heart drops to be any mob you want and set its chance via a json in the bhc folder in your config folder ENJOY!!!!!! How does this mod detect what counts as a boss? I ask because there are several mods I have installed that add bosses and I wanted to know if they would drop hearts as well, and if not, is there a way to configure things so that they do? Does this allow me to add bosses that drop the orange or green hearts? why does it say it has tinkers construct as optional dependency ? me and my group have been using this mod within project ozone 3 and are having issues getting some of the hearts to stack. it seems to be random how it happens. and the only fix we have found so far is spamming them in the baubles it randomly stacks together. if any1 knows a fix or a way around this that would be great. I have update with a dummy recipe (basically if the HC don't stack just craft them with themselves to reset un-wanted NBT data stored onto them) FIX ...Shift Clicking Does Not Work, Manually Place Hearts this is an issue with Baubles. Hey can this mod be backported to 1.10.2? what happens if you use the Scaling Health HUD with this? Awesoooome. I've been looking for a mod that re-introduces the heart canisters from Tinkers'. Thank you very much for creating this! So, I cannot find anything on this. I even went and tried to find that mod you said this was based on, but nothing. What is the benefit of using higher level hearts? They seem to only provide 1 additional heart per heart. Why should I use green over red? 2.) There is no such thing as "higher level hearts" they all provide the same thing. The difference is how they are obtained.